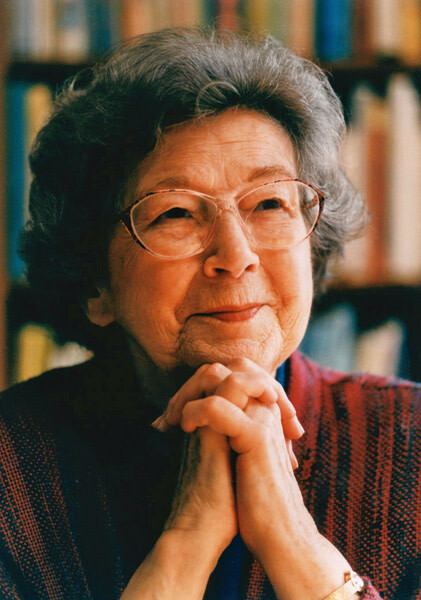 APRIL 12, 1916 | BEVERLY CLEARY is born in McMinnville. Her earliest memory: bells ringing to mark the end of World War I. 1922 | Her family moves to Northeast Portland. She goes on to graduate from Grant High School. 1950 | After working as a librarian and at a World War II hospital, Cleary writes Henry Huggins, set on NE Klickitat Street. 1955 | Beezus and Ramona puts the Quimby family in Cleary’s spotlight. Over the next few decades, the Quimbys’ saga—through recessions, shifting fashions, and young Ramona’s emergence as an anarchic heroine—traces societal change and the trials of lower-middle-class Portland life. 1995 | Bronze sculptures of Henry and Ramona are dedicated in Grant Park, and Multnomah County Central Library names its children’s room for Cleary. 1999 | Ramona’s World apparently ends the Quimbys’ tale.